Direct vent gas fireplaces are required by law to use either a barrier screen or decorative doors to overlay the glass front and prevent contact burns. Includes matte black door frame and set of operable matte black rectangular doors. Door frame includes safety barrier screen. Doors and frame are designed to work as a glass overlay. Fits Tahoe Deluxe 36 inch direct vent fireplaces. All steel construction and computer welded. Includes matte black door frame and set of operable matte black mission style rectangular doors. Includes matte black door frame and set of operable matte black arched doors. Includes matte black door frame and set of operable matte black mission style arched doors. Make venting your Tahoe Direct Vent Fireplace as simple as possible with this Empire DVVK4F Flexible Horizontal Fireplace Vent Kit. The hardest part of any fireplace installation is the assembling of the vent system. This kit from Empire creates all of the necessary components for a vent installation system for 36 inch Tahoe fireplaces. This vent kit comes with a cap, thimble, flashing, collar, support, clamps, and pipe lengths in order to create a completely operational fireplace vent system in your home. This simple kit can make the difficult process of installing a vent, and can make it a quick and easy part of adding a fireplace to your home. Empire painstakingly engineered this horizontal vent kit and small round cap for their line of Tahoe fireplaces, taking care to make sure its installation time is brief but its durability lasts for many years to come. Suitable for walls up to 13.75 inches thick, the kit includes a small round horizontal termination cap with vinyl siding shield, a wall thimble and thimble extension, a four-inch diameter exhaust tube, an outside mounting plate, and a 6 5/8-inch diameter inlet air tube. This kit is compatible with the Tahoe Deluxe, 36" Tahoe Premium, or 36" Tahoe Luxury fireplace. Fireplaces come in complete packages, and this rear vent kit completes the Tahoe package. Including 6 inches of galvanized pipe which connects to the wall thimble, this kit provides the horizontal rear ventilation needed for a Tahoe fireplace. In addition, the hi-wind cap ensures consistent ventilation without the effect of exterior weather conditions. This kit is designed for 5 inch to 7 inch exterior walls, providing all that is necessary to complete your Tahoe fireplace. If you are ready to vent your Tahoe gas fireplace, this kit gives you everything you need to do the job right. The horizontal top-vent kit is designed to be used as a through-wall installation with walls from 8 inches to 11 inches thick. The 9-inch pipe and 8-inch pipe extension are constructed of galvanized steel for durability. The kit also comes with a 90-degree elbow and a wall thimble as well as a high-wind horizontal cap. Would you like to have a fireplace in your home that is definitely cutting edge? If so, then Empire has just the thing that you need to consider installing in their DVVK4VP Vertical Through-Roof Fireplace Direct Vent Kit. Designed to be used with Tahoe Fireplaces, this add on item is designed to give to your chimney a contemporary flair, but do so in a way that helps it to tastefully blend in with the surroundings of your living room. Use this Empire Vinyl Siding Kit with DVVK4RE Horizontal Fireplace Vent Kits. If you're an owner of a gas or propane stone, heater or fireplace, you know the importance of venting correctly. Choosing the right vent may not seem like a drastic decision, but when the winter hits and your heater isn't working properly, you realize the vent's importance. Dura vent produces the finest venting products, and they can be purchased for use in your home. This black vent pipe with ninety -degree swivel elbow makes installation convenient and easy. It's made with durable aluminum and galvanized steel construction, made to withstand frequent use. This vent comes with twist lock connections, providing a secure installation without fasteners! The finish on this vent is a sleek black, making it versatile, and workable in any home. Using this DirectVent Pro Metal vent pipe elbow strap will provide a durable and stable support for your ventilation pipe between the offsets. Made of solid metal construction, this elbow strap fits pipes with a 6 5/8 in. outer diameter, and is compatible with all DirectVent Pro ventilation products. The inner wall is .020 in. aluminum and the outer wall is made of .018 in. galvanized steel. Gaskets and sealants are not required for this installation unless specified by the appliance manufacturer. DirectVent Pro knows that one of the hardest steps in the process of installing a chimney is that of running it through the chimney. From the proper support to sealing out all of the unwanted outdoor elements, the number of considerations that need to be kept in mind are almost too numerous to keep in mind. The Dura-Vent Attic Insulation Shield is designed to sufficiently answer all of these problems, giving your fireplace all of the support that it needs as it passes through your roof, as well as making sure that it is the only thing that can pass through regardless of the circumstances. For direct vent installations in stucco-sided homes you need Dura-Vent's DirectVent Pro Counter Flashing. This unique flashing allows you to apply stucco over the flanges in order to form a water-tight seal. Protecting a home against weather damage couldn't be simpler. Dura-Vent is well-known in the hearth service industry for producing reliable and cost-effective products. Their DirectVent Pro line illustrates exactly why they have earned such a reputation. Approved for use with most direct vent appliances, the DirectVent Pro venting system includes a variety of unique items, such as this Counter Flashing, to help every installation go as quickly and smoothly as possible. And homeowners always like this line because, in addition to providing attractive and efficient venting, each piece comes with a limited lifetime warranty. With DirectVent Pro, everyone wins. Applications - DirectVent Pro is a unitized, coaxial venting system designed for use with direct vent gas or propane stoves, heaters, and fireplaces. Materials and Construction - .020" aluminum inner wall. .018" galvanized steel outer wall. Painted outer walls made of laser-welded .018" galvalume steel. Outer pipe brings combustion air to the appliance. Inner pipe exhausts flue gases to the outside. Gaskets or sealants not required (unless specified by the appliance manufacturer). Clearances - Specified by the appliance manufacturer. Listings - DirectVent Pro, in combination with the gas appliance, has been tested and listed as a decorative gas appliance system or as a direct vent heater system by a major testing agency, such as UL, CSA, Warnock Hersey, or OMNI. Get the best wind protection available with Dura-Vent's DirectVent Pro Horizontal Wind Guard for Vent Rain Caps. This direct venting accessory will prevent even harsh winds from damaging any vent system. And for vents with terminations close to the ground, you can use this guard to keep passersby, particularly children, from coming into accidental contact with the hot rain cap. Dura-Vent is well-known in the hearth service industry for producing reliable and cost-effective products. Their DirectVent Pro line illustrates exactly why they have earned such a reputation. Approved for use with most direct vent appliances, the DirectVent Pro venting system includes a variety of unique items, such as this Horizontal Wind Guard, to help every installation go as quickly and smoothly as possible. And homeowners always like this line because, in addition to providing attractive and efficient venting, each piece comes with a limited lifetime warranty. With DirectVent Pro, everyone wins. *Please Note: Must be used with a DirectVent Pro Vent Rain Cap. If your ventilation installation requires a minimum vent height, this DirectVent Pro Snorkel vent termination cap will provide that additional height. Manufactured by Dura-Vent this termination cap allows direct vent systems to meet minimum height requirements while providing a unitized, coaxial venting system that is designed for use with direct vent gas or propane heaters and fireplaces. Made with .020 in. aluminum inner wall, and .018 in. galvanized steel outer wall, this termination cap is compatible with DirectVent Pro venting products and is available in 2 sizes. Converting your masonry chimney to a direct vent chimney is simple with this DirectVent Pro Conversion Kit by Dura-Vent. This conversion kit allows direct venting of stoves through existing masonry chimney and the kit includes a cap adapter, 18 in. x 18 in. top plate, retro connector collar, and a wall thimble cover. DirectVent Pro materials are constructed with .020 in. aluminum inner wall, and .018 in. galvanized steel outer wall. Dura-Vent not only provides efficient chimney lining solutions, each piece comes with a limited lifetime warranty. Convert your factory-built chimney into a direct vent system easily and affordably with this conversion kit. This kit is compatible with a variety of manufacturers and inner diameters of chimney liners. The sturdy construction features a 0.20" aluminum inner wall and a .018" galvanized steel outer wall. The painted outer walls are manufactured of laser-welded .018" galvalume steel. While the outer pipe serves to provide combustion air to the appliance, the inner pipe works to exhaust the flue gases. This kit includes a cap adaptor and retro connector collar. Converting your factory built chimney into a convenient direct vent system is simple with this VentPro conversion kit by Dura-Vent. This conversion kit is a unitized, coaxial venting system designed for use with direct vent gas or propane (Type C) heaters and fireplaces. This kits is compatible with the following manufacturers DuraPlus, American Metals, Air-Jet, and MetalFab, and are for use with pipes that are 8 in. inner diameter. These kits are constructed with .020 in aluminum inner wall, and .018 in. galvanized steel outer wall, and includes the cap adaptor and retro connector collar. Interested in Dura-Vent's DirectVent Pro Co-Linear Chimney System? The you'll need a Standard Co-Axial to Co-Linear Appliance Connector. * Please Note: This item must be installed by a licensed professional in order for the manufacturer's warranty to be valid. Create a comfortable and relaxing time around your fire with the Tahoe Deluxe Direct Vent Natural Gas Fireplace by Empire. 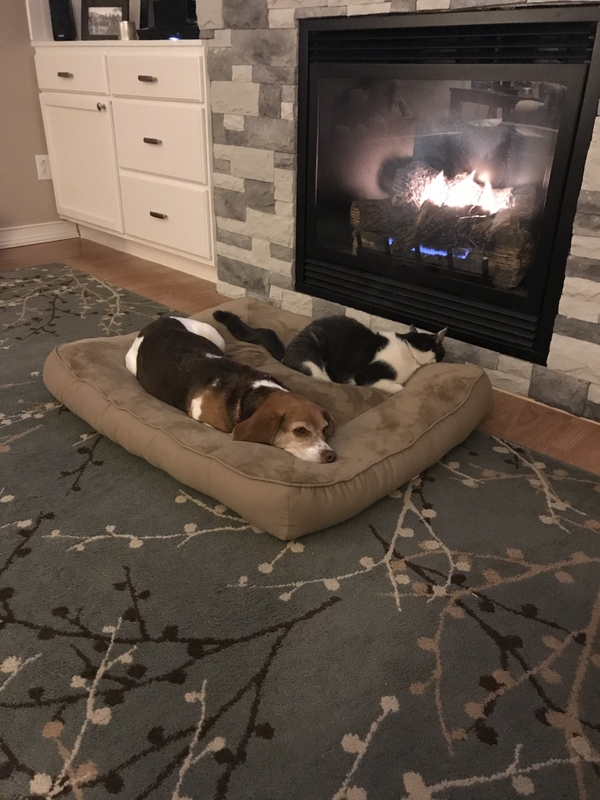 Featuring a 36 inch deluxe direct vent gas fireplace, a 5 piece log set with black slat louvers and a large viewing window made from heat-resistant tempered glass. It requires no electricity is generates up to 20,000 BTU's with 83% efficiency, making it energy friendly. Available in natural gas and propane models with a 3-year limited warranty. I am sending the specs of this fireplace to my architect for a sun/patio room addition. Once the plans get through the City planning I am planning to purchase this. This will be going in a 300 sq ft room and I am hoping it can be used to heat the room when it is being used. Does this unit blow warm air out the Louvres (as opposed to a radiant type heat). I am thinking 20,000 BTU's is more than enough for this room in San Diego. You are correct in assuming that 20,000 Btu would more than adequately heat the space described as you really only need about 10,500 Btus. So long as you have 8' ceilings, any number of electric fireplaces with optional 240v wiring could heat the space. To answer your question, this fireplace would provide radiant heat via the front glass and some natural convection via the louvers located above and below the front glass, however, most customers choose to add the optional blower to enhance the convective heat transfer mechanically. 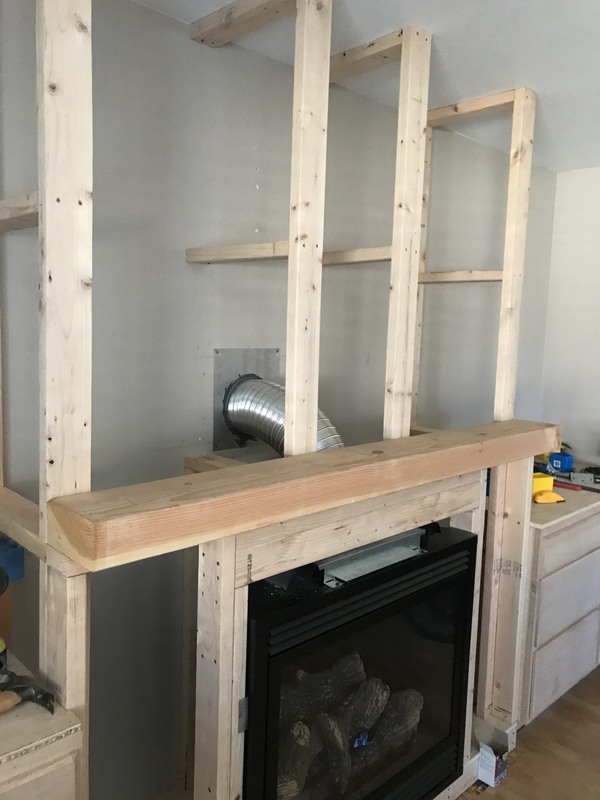 Since you mention needing the specs for this fireplace approved and being in California, please be prepared for local code enforcement to eliminate this fireplace as an option based on this particular configuration having a standing pilot. Actually, the state of California has pretty well banned the use of any standing pilot (millivolt) fireplace, however, this same fireplace is offered with a non-standing pilot electronic ignition configuration that will also operate on battery backup in the event of an outage. That model is found here. What does "lift gate " mean for delivery option? Also, how much does this fireplace weigh? The lift gate option will guarantee that the freight truck will be equipped with a hydraulic tailgate that will lower the pallet on which this fireplace ships to the ground at the curb in front of the shipping address (provided there is access for the freight truck). This fireplace weighs 102 lbs. 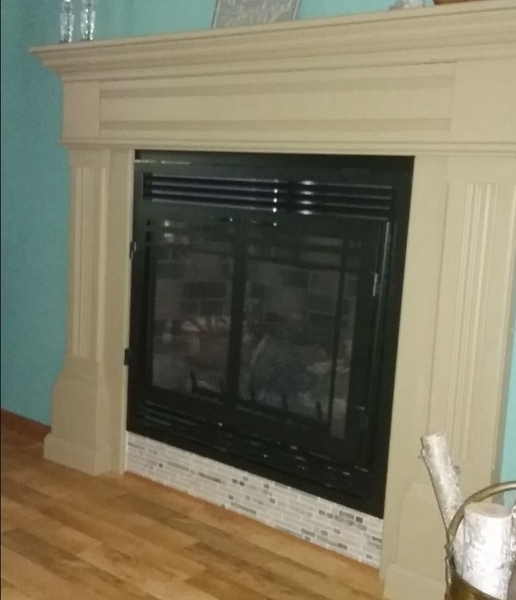 Does this fireplace come with a rear vent? Yes. This fireplace is rear/top vent convertible. I noticed your Empire Tahoe fireplace states "heater rated" can you explain what that means? I am looking for a gas fireplace to be used as primary heat source for small living room in basement. Approximately 250 square feet. "Heater rated" simply refers to an appliance with an efficiency high enough to be rated as an actual heating appliance and not just a decorative appliance. Considering your square footage and location, this unit would work just fine to heat your space. This is a millivolt unit which means it is already remote compatible without any modification done to the inner workings other than adding a remote kit. You may use the FRBC basic on/off remote or the FRBTC with thermostatic control. Can I use existing flue pipe that I have w/a Martin industries wood burning fire place? No, a direct vent unit requires special direct vent chimney. We bought and installed this fireplace . DVP36FP3(0,1,2,3)(Natural Gas)-5. How do we control the temperature -- so that it scales up or down based on a temperature (thermostat) Ours is the standing milivolt pilot. That unit does not have adjustable flame capabilities. The burner is either on or off. In the picture, I see a black border around the glass. Does that come standard or do I need to add that as an option in the section where it lists barrier screens? Thank you. 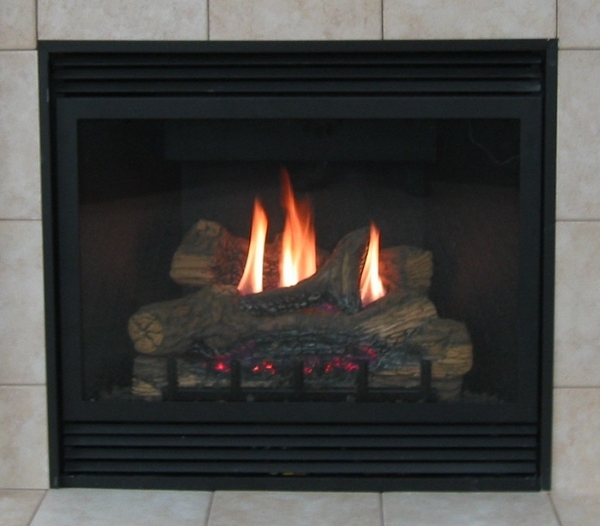 The main picture on this page shows the fireplace as it comes standard, with that black frame around the glass panel, the black slat louvers, and the flat black interior behind the log set. What are the framing dimensions? Will this work in California? This should be fine to operate in California, but you will want to check with your local code enforcement, still. The framing dimensions are 37 3/8" wide, 16 3/8" deep, and 35 3/4" high. Can this fireplace be placed in an existing wood burning fireplace? Or, do I need to look specifically at gas fireplace inserts? 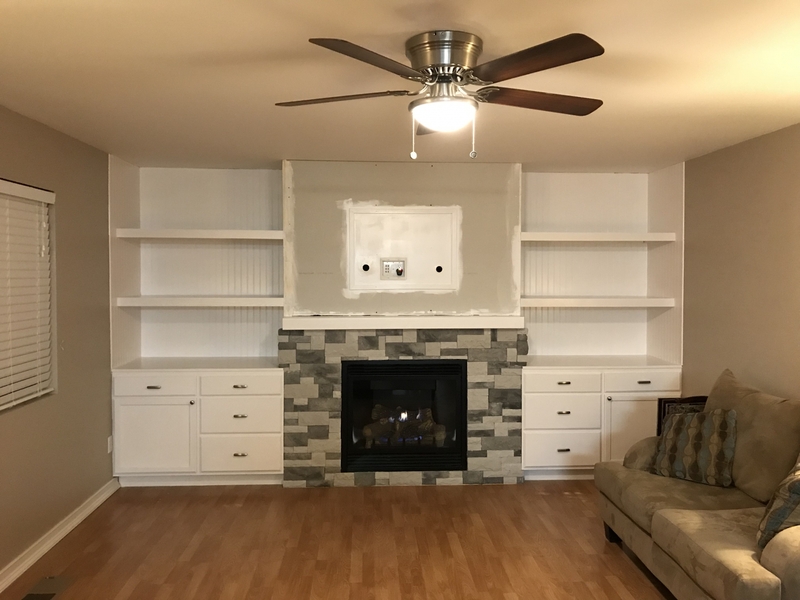 For installation into an existing fireplace, I would suggest looking at our inserts, as they will have surrounds that cover the space between the edges of the fireplace and the edge of the insert. What is included and what is needed? Is a firebox needed for installation? The unit is the firebox, log set and burner. You would need the liner, a remote and blower if you want one, and, then, just the venting. Can the deluxe unit be controlled with a wall switch? This unit can indeed utilize a wall switch or a remote control. What are the height requirements for the chimney with this Empire Tahoe fireplace unit? Can it be vented out the back? How does it light without electricity? This unit utilizes a small standing pilot assembly that heats a thermocouple and thermopile generator. These small thermal generators deliver the power needed for the gas valve to operate. 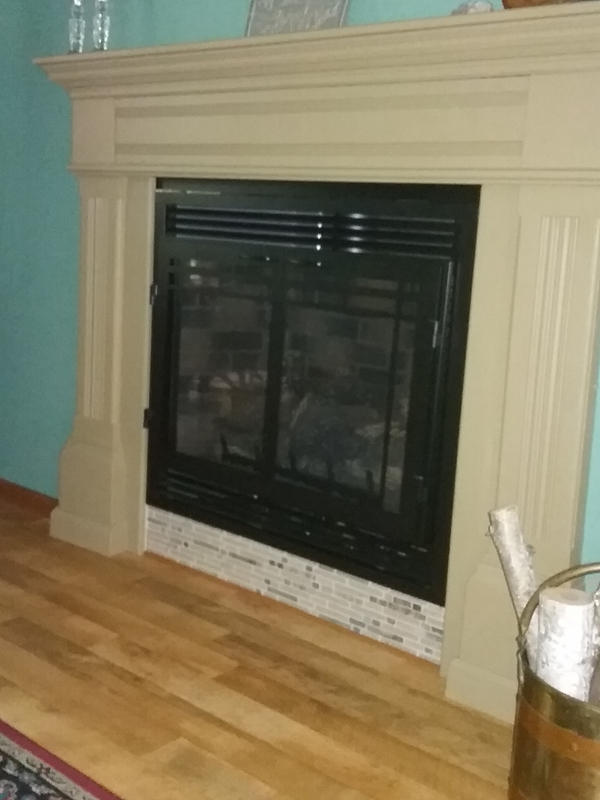 Is this a sealed fireplace? As a direct vent fireplace, this unit is completely sealed with glass on the front. Is this fireplace CSA approved? This product is indeed tested and listed by UL for installation in both Canada and the U.S. As such, it meets the appropriate C.S.A./A.N.S.I. standards that are required. The fireplace installed very easy. I used the venting system recommended by the staff and all went very well. I had to cut through my wall to vent, so install took 7 hrs total time. I did a corner install and it looks and works great. I would have given 5 stars if the flame was a little stronger. This will work many years for me. I am very pleased with the product. I have installed four of these units and every time I install one I am further impressed by the simplicity of the install. The unit heats well and looks great. Fireplace looks awesome, a centerpiece of our new great room. Unit itself took about an hour to install�€”-start to finish and looks great in to wall! The materials are good the instructions are lacking for a replacement installation. ProsNice quality and the fit and finish good, price was lower then most. Nice fireplace easy to install and enjoy. Kelsey was a big help in ordering. Fireplace is nice and what I expected with the slight exception that the flame is pretty small and weak. If the flame was a little bigger, I would have given it 5 stars. Proseasy to install. Good instructions. 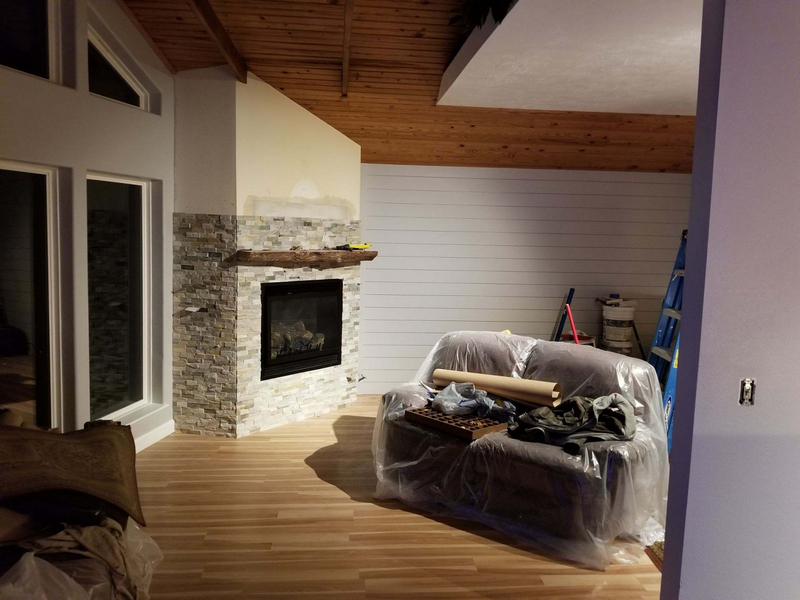 My family was building a family room and wanted to add a nice gas fireplace. Our builders pricing put us into a sticker shock. I had hesitation on the quality of an on-line fireplace. I called the customer service person to walk me through buying the entire kit. Myself and my builder were both, pleasantly surprised. Good quality, good performance, great price. Blower fan is tad noisy on high, other than that..... zero complaints. ConsA bit noisy on high, blower fan. Great fireplace and heating source. Just installed this fireplace recently. Works great and provides decent for the price. It really created a nice relaxing addition to our living room. Just purchased the Empire Tahoe fireplace and I'm very impressed with how easy it was to install. All the instructions were easy to follow. They had already converted it to propane. It looks beautiful and works great. This is the 3rd propane direct vent fireplace that I have installed and I would buy the Empire Tahoe again. I haven't hooked it up yet. But, it's beautiful! The staff was amazing to work with over several months as we were trying to decide what type and model to get. Excellent communication and assistance! I was very hesitant to buy a fireplace online, but after going all over town, eFireplaceStore offered the best deal ever. Arrived within 7 days, all parts were present and it was very easy to install. My husband was able to do it by himself with the great instructions. Been working for two weeks, no issues. As advertised but flame is uninspiring - delivery was problematic but rep was attentive and granted $50 discount as a result and really can't fault eFireplace. Fake brick is extra as well as a host of other things. such as remote, blower,, brick liner, etc. - basically paying $1300 for a folded metal box with gas outlet. 55" LG 4k tv seems cheap in comparison. The fireplace looks geat and works well. We like it a lot. The problem(s) were all related to installation documentation. Drawings did not match the product received. Quality of drawings were less satisfactory. In some cases it was impossible to determine the proper orientation of the venting and related accessories. We called eFireplaceStore and 2 out of 3 times had to contact the manufacturer. To get the manufacturer (Empire) to talk to us we had to say we were an "installer". If you said you were the home owner, they would not talk with you "for safety/liability reasons". (I understand that). To be fair, Empire is the one who needs to clean up their installation documents. The last call we made regarding the remote switch, the technician had us pull wires from under the fireplace to connect the remote even though the instructions specifically have you connect the remote to the TP lugs on the control body. I only found confirmation of that later when I Googled it and found others reporting the same discrepancy. Again, this is an Empire issue. Be ready to Google this to find answers to specific installation issues. ProsWell build. Simple to install once you have proper instructions. We looked at another fireplace store only to find this same product but it was twice the price. The fireplace I ordered was exactly as pictured and described. Prior to ordering I had some general questions and their associate was very helpful and well informed about the products. The unit and all parts were very well packed to be protected from damage during shipping. Pricing was excellent when compared to other suppliers for the same product. Highly recommend and would purchase from again. Great product - just as described! It looks great. Delivery was a breeze. ProsGreat Customer Service - got back to us in a timely manner when we had questions. Nice unit for the price. This is a decent fireplace for the price. I didn't get a blower or auto-ignition or remote. I will be ordering the remote and wish I had put the wall switch in and purchased the electronic ignition model. Decent flame, puts off good heat even on low. Everything was great with this purchase. The website was easy to use. The staff was helpful when I had questions. The fireplace look is even better than expected. I would definitely recommend this model and eFireplaceStore. ProsGood website. Helpful staff. Good product. Haven't fired it up yet, but the purchase looks great and as expected. We were able to easily install this item and it looks great for the best price we found in three weeks of research. Customer Service was helpful with selecting the necessary accessories. This arrived on time and well packaged. Instructions were excellent and it installed quickly. I had shopped around and found most fireplaces to be much more expensive. I have purchased half a dozen over the past years or so; some upwards of $2k. At the end of the day, they all kick out a flame. Naturally,, the $2k unit looks better .... but not THAT much better. I wish I had bought the remote control, which I will be adding today. 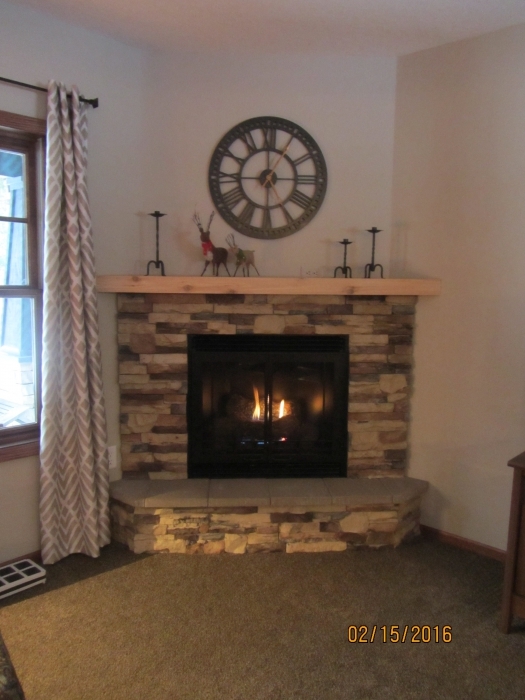 This is a very nice looking fireplace when someone compares it with the price tag. The only real negative to be discussed is that the flames really do not get all that high.